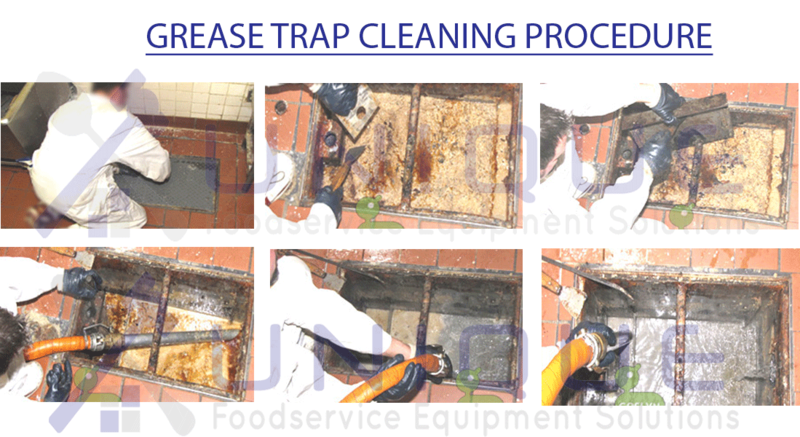 Grease Trap: A unit with a special engineering design connected to the private sewerage networks of commercial kitchens, restaurants, food factories, hotels etc which separate food oils and grease from waste water before draining the same into the public sewerage network or septic tanks. An unmaintained grease trap does not stop any grease waste from entering the sanitary sewer or septic system. Grease blockages can ruin a restaurant in minutes from back-ups.